Can you read an XML document on my drive? You can now download them to any music program you choose from my evolving list here: generated music XML. Also in that folder is my current PL/SQL conversion routine - undocumented. If you want help - ask. I would love to engage more people in this effort, especially people with expertise outside of English. It is too little a thing that I should be working alone on English underlay from the Hebrew. Disclaimer: this works well with Musescore and has been tested a little with noteflight. The XML online may say it has been 'edited' or refer to a 'translation or English underlay' - but clearly, none of these has been done at this time except in my own Musescore pieces - which I don't bother saving to XML since it does not even read its own saved files correctly from XML - so take care. I have added the disclaimer 'not yet' to the later XML files (v 1.17). There is a problem here - to use my routine as is, you need to have the Unicode data in extended html. At present I am using a proprietary routine. But my own PL/SQL is there for anyone to re-engineer or use as they wish. (Have fun.) Its essential form is: for all verses in the input, to decipher word by word the Hebrew syllables and associate with each the step of the music and any ornaments that may occur. It is usable, but I make no claim to completeness. Soft-ware is well named. The spec, such as it was, is now obsolete. Read the code. You can specify up to 4 modes (actually 7 for the poetry but I haven't tested 5, 6, or 7). title determines if poetry or prose Psalms Proverbs or Job speeches (get the chapter right if you are using Job) - all other input uses the prose modes. If you get the name wrong, the routine will skip notes it doesn't understand and may skip the odd syllable too! I may get this into a publicly usable place - but this is it for now. 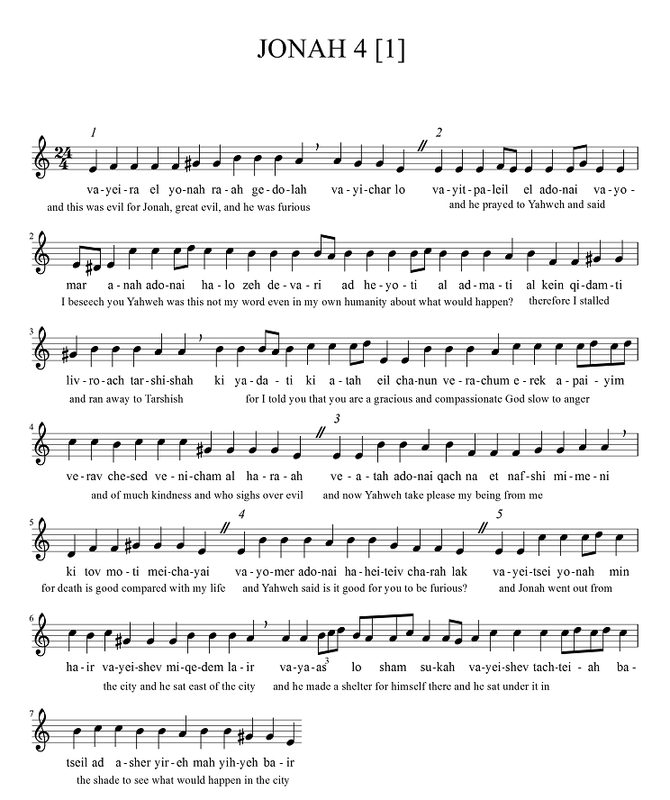 Also you can find here all Haik-Vantoura's JPGs of the psalms. They differ from the Aleppo codex (which she would not have seen) in many places, but given her book is public on the web in French and English, I suppose her images might as well be there also. All the public performances are on you-tube already - easily searched for under the tag "the music of the bible revealed'. 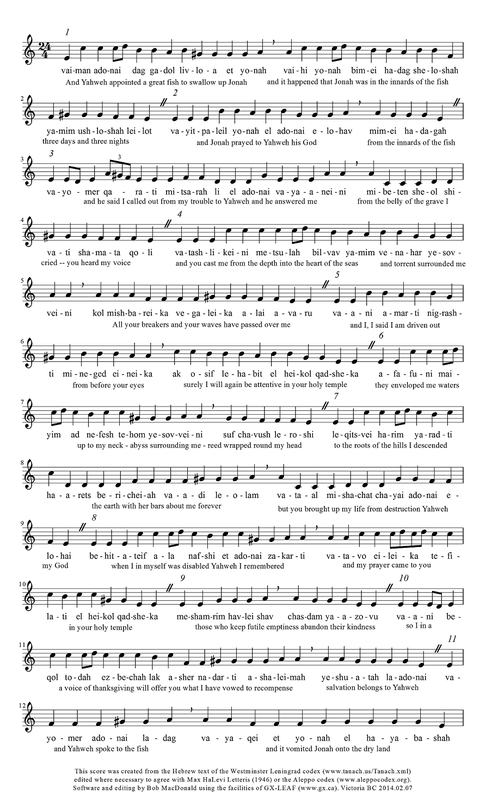 Let's get the Psalms out with music in lots of languages. Anyone interested? So - what do you think of Psalm 12? How does the music carry it? Why is it where it is in the sequence of the Psalter? Psalms 9 and 10 have, somewhat like recalcitrant childen, chanted the splendor of Psalm 8. Psalm 11 follows with the fundamentals overthrown but The Lord in his Holy Temple, in the heavens, his throne. Then Psalm 12 gives us the children of humanity with their vileness exalted on every side - not to mention Kiev, or Syria, or Central Africa, or the worship of Mammon at the expense of the poor. From this havoc of the poor and from the groaning of the needy, the Lord arises. Do we dare pray for such? Here's my English to the Hebrew cantillation somewhat according the deciphering key of Haik-Vantoura but with the ornaments and steps taken from the Westminster Leningrad codex and manually compared to Aleppo (where I could read it - it is quite clear for Psalm 12). 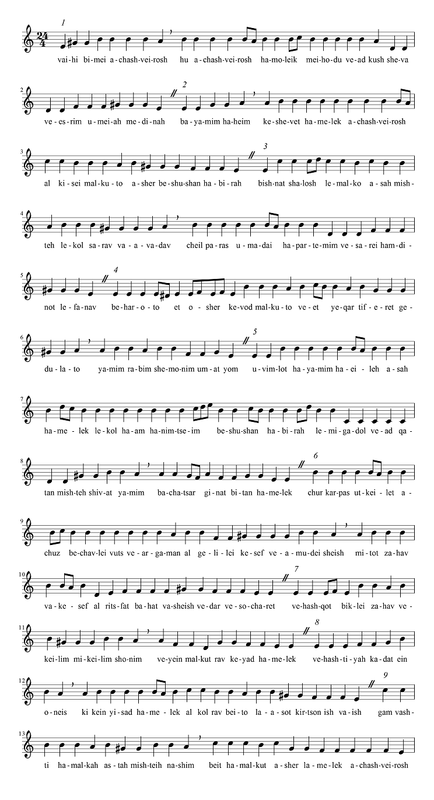 The Hebrew: - pdf here untouched from the computer generation of the music. English pdf here. And below a bit of a comparison. In this psalm, my English and the Hebrew were very far apart in syllable count. Sometimes Hebrew (syllables 186 words 79) was longer, sometimes English (count 'em if you like - the bars are all irregular). If you sing these - pay no attention to the note 'values'. 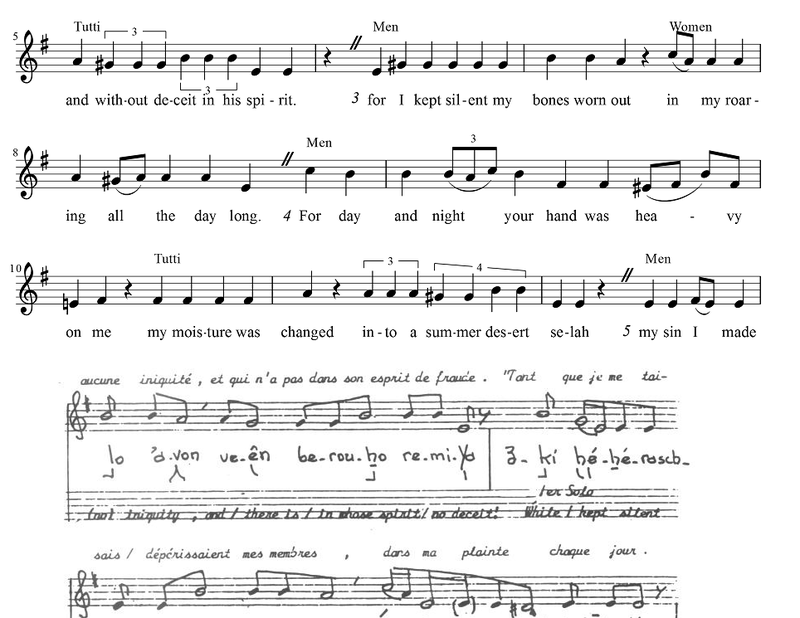 There is no implied fixed rhythm in this psalm in either language. First, I need to see several examples before I quite know how to approach even any one psalm. So I produce several drafts of several psalms based on the Electronic edition of the Westminster Leningrad codex. I can vary the mode of the draft for each psalm and the number of beats in a bar using the computer. I have completed now about 20 drafts and I have and will likely vary the mode depending on the nature of the psalm - What is the nature of a psalm? you ask. Good question. Once I produce and modify the draft, I am finished with what the computer generation can do for me. I then look at the transcription for errors and also to fix things that may differ from the Aleppo codex. (Example here.) I will not be fixing the source data and I will not be retrofitting English underlay in the database. I will compare my decisions with what Suzanne Haik Vantoura decided for mode and pulse. I am not bound either by her decisions or by her favorite edition (Letteris). I have now become as used to the more ancient witnesses as I became of her first interpretations. And I do not have either her training or her experience in manual transcription - so I may change my mind several times. 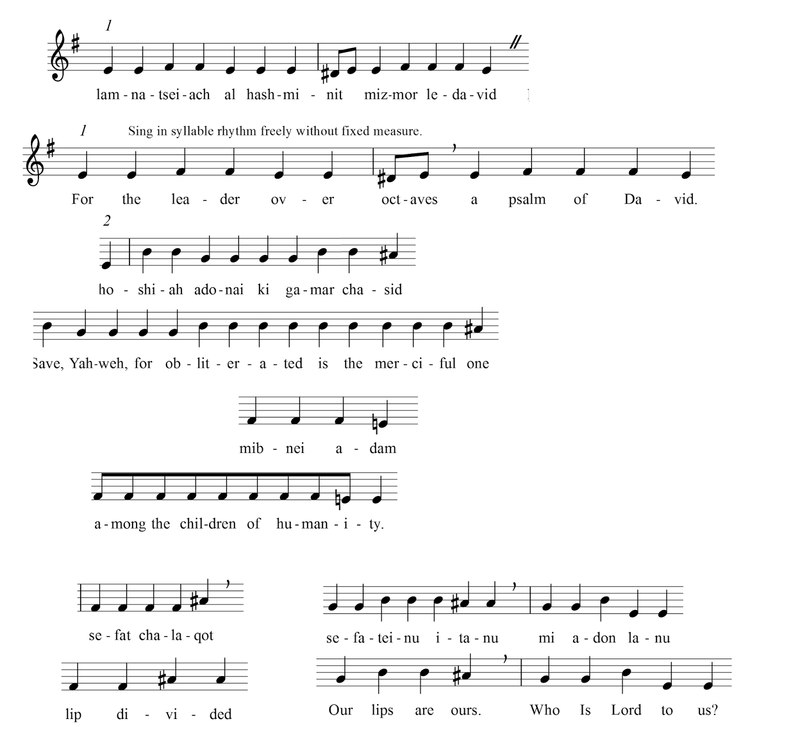 I am curious again about syllable counts - these are equivalent to the number of beats in the whole psalm and there may be some interesting or even surprising results. (My results are now quite accurate and my trace produces gematria as well as syllables and word counts ... but beware distractions). To remind you, the modes available are these and I may experiment with a few more. Here is a little of what I have done so far (very preliminary) with modes numbered 1 to 4 left to right. 8 2 2 fits the joy of this psalm - how will we compare psalm 144? I wonder if the strings could be tuned in the middle of a psalm? After making a preliminary mode decision, I will work out an underlay for the English, trying as best I can to put the emphasis and word painting of the Hebrew on corresponding notes in the English. I just discovered how to add notes to the measure easily - nice feature. Must learn these features now so I don't change the style too much half way through the project. I then assign voices to cantor(s) and chorus (male and female and tutti). Then (or earlier) I send the score to my consulting composer and arranger for instrumental options, accompaniments, critical feedback on vocal line, revoicing, movement of ornaments, mode alternatives and so on. I want us to guess as well as we can at the character of the word painting and see what styles emerge for this body of music that we do not know. We are recreating what may have been sung in temple or synagogue 2000 years ago (without a tape recorder - to reference another archaic device). I decided to do a slightly more complete job on 1 Samuel 2:1-10. The pdf for Hannah's song is here. And below the first page. In this version, the mode is 3 or effectively E major. The ornamentation is quite cheerful from beginning to end. A great improvement I think, over the default mode. This article at BLT makes me think about the interaction of music and Biblical studies. He puts words to thoughts I have had in hearing the Scriptures with the 'original' music. The music allows a reading that can undermine our first hearing of the word alone. But I’m not simply interested in how music can reflect the Biblical text; I want to hear how it can make the text say something new, how different musical approaches to the same Biblical text make clear how opposed political and religious ideologies can find justification in the same Biblical text, how music can go against the grain of a Biblical insight and even resist it. The post is a long one with a lot of music to hear - very well done. Well - I am still not inclined to study Esther in detail - such a bias! But I can produce the full score. It is not (yet) instantaneous. Chapter 1 is here in PDF. I deem it highly unlikely that anyone is reading this or the detailed grammar and comments at Ancient Hebrew Grammar, or that anyone will want the rest of the music in this form for this book at this time. But if I am wrong, let me know in a comment, and I will do the rest. For now I am going to imagine how to get the computer to tell me the optimum mode for a passage of a psalm. I have first to improve the algorithm for following semi-tones in each mode, and I want to work out an avoidance strategy for spurious augmented seconds. This may give a clue to what the optimum mode might be. Having decided this within the program, I can impose the mode at the end of the run. 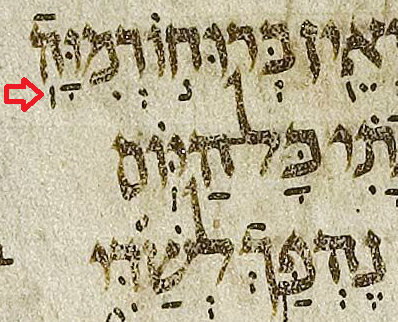 Ancient Hebrew Grammar is posting comments on the grammar of Esther over the next three weeks - so can I keep up and see if the music - (even in this late writing) - will support whatever they seem to say. I failed to complete Esther some years ago - just too strange to me and too much of a farce. But here goes. Well, it works, it rises and falls, it tells the story. If ornaments are significant, the throwaway triplet on ha-nim-tse-im in verse 5 seems to indicate that the party was intended as a party for whoever was found - and that word found is the one with the ornament. This seems to be the high-point of the first 9 verses. Even the invitation to extreme drinking without restraint (verse 8) does not compete - in fact it has little ornamentation. And Yahweh God (triplet ornament) appointed a tender plant (qiqayon - gourd - unique use of this ornament in the tale) and made it come up over Jonah to become shade over his head to deliver him from his evil. And Jonah was glad for the tender plant - he was very glad. And God appointed a worm as the dawn came up in the morning and it struck the tender plant so it dried up and it happened when the sun shone that God appointed a sultry east wind and the sun struck Jonah's head (Ed. alas, poor Jonah). And he fainted and he wished he was dead and he said, death is good compared with my life. And God said to Jonah, is it good for you to be furious over the tender plant? And he said it is good for me to be furious even to death. And Yahweh said, you yourself showed pity (the repeating ornament of these several chapters) for the tender plant that you did not toil for and did not make grow that happened as a child of the night and as a child of the night perished and I, will I not show pity to Nineveh the great city? For there are in her more than (rising triplet) 12 ten-thousands of humans who cannot tell their right hand from their left, and also many cattle. Just how difficult is it to remember that Jonah was in the belly of a fish for three days (in this tale of the reluctant prophet)? Easy. Just how difficult is it to remember that Jonah is a first-class pain in chapter 4 where we hear the reason he ran away from the command of his God? This part of the story is not as famous as the fish. 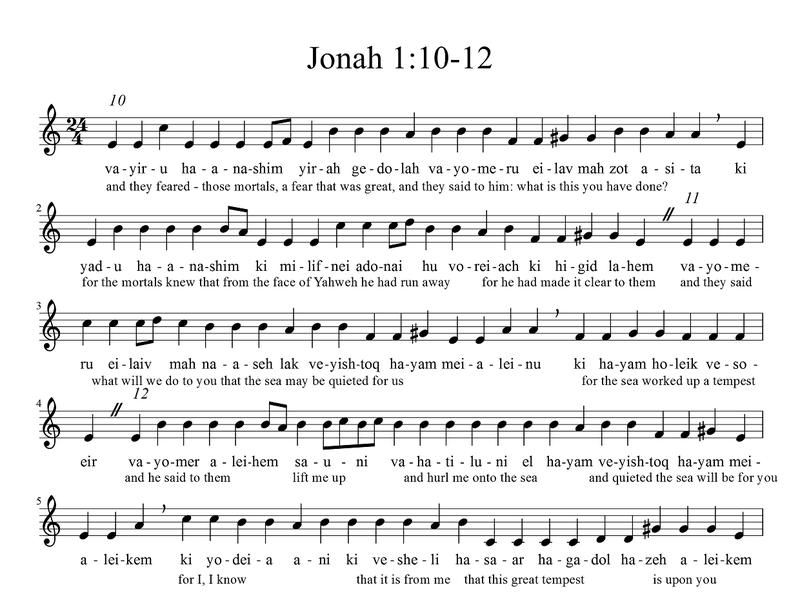 So here is the (draft) music for Jonah 4:1-5. I have not compared this with the Aleppo codex because I am currently concentrating on the psalms and my eyes can only stand so much scanning of ancient manuscripts at a time. But the music tells the story - what will we discover from the ornaments and the interpretation which a song allows? And here (left) is the Aleppo codex with the silluq clearly shown. Isn't it amazing that one can do textual criticism from one's office at home! There are bigger problems with this psalm and I have not pursued them all in detail. It is possible that the Aleppo codex may be wrong - who really knows. It is almost 1000 years later than the last time these songs could have been sung in the temple. Here is my music for a few verses. Some of the problems are evident. Compare vs 3 - mine (computer generated from the Leningrad data) goes up - hers goes down. And in verse 4 (not shown for shv) it gets worse. What does Aleppo say - is it closer to WLC? I am glad to say it agrees with the WLC - yea!!! Enough pictures - you can see it for yourself here. And if you want to critique my score - leave me a comment and I will send it to you. Here we are again at this tale of Jonah - only two more posts to go after this. The role of the king here is remarkable. He calls for repentance from the whole community including the animals. Talk about being implicated in the sin of the world! He acts parallel to Jesus in the foot washing, who put aside his robes and girded himself with a towel. The king of Nineveh manages sack cloth, a word in Hebrew that sounds just like the English equivalent. And the king sits in an ash-heap. In my book on the psalms, I suggest we are all monarchs of our sovereign realms. Perhaps we too, lifted from the ash-heap, can identify with the king - and with Jesus - and maybe use our towels to wash the feet of others. The double ornament we have been observing occurs over actions this time - the king's rising and his proclamation. You will note that word 'taste' in my translation. Taste is the name of the symbols for the music - it is also the word for a slight madness! And it is the word for testing to see (O taste and see - Psalm 34:1,9) if this God is good or not. I translated God as 'this God' because he has a certain distance in this story (Yhwh to come will reveal a closer reality) and also Elohim always occurs here with the definite article - an odd usage that also occurs in Qoheleth. I have been testing my automated routine for producing the music directly from the Hebrew text of the Westminster Leningrad Codex. It has been revealing to me. Of course, I must refine the routine when I meet rules of the language that I have not taken into account. Generally though it is operating at 95-98% at the moment and I haven't broken too many things by putting in a few exception handlers. But the real challenge is in looking at the manuscripts online. Particularly Psalm 32, the first psalm I have chosen to transcribe. This is the psalm for Lent I and I have been asked to have ready for singing. The difficulty is that the online images of the text do not agree with the edition that Suzanne Haik-Vantoura used and the disagreements reveal additional harmonic possibilities that she did not consider. Also these online images are difficult to read (for me). There is much ambiguity. I may post on it in detail eventually. In the meanwhile, here is the continuing story of Jonah. There's lots online about Jonah and reams of books written, so I confine myself to the tale and its performance. Note again in these 5 verses of chapter 3 the repetition of the double ornament from earlier chapters, this time on the words to her. I think the music shows interest in the real issue - people and trouble (like the psalms). Note the repetition from chapter 1 of the word mortals. This part of the story has a sort of happy ending - the one who made the sea and the dry land gets the appointed creature to vomit the reluctant prophet from its belly in the sea at the limits of his descent to the roots of the mountains - dust from dust - onto the dry land, a little worse for wear. 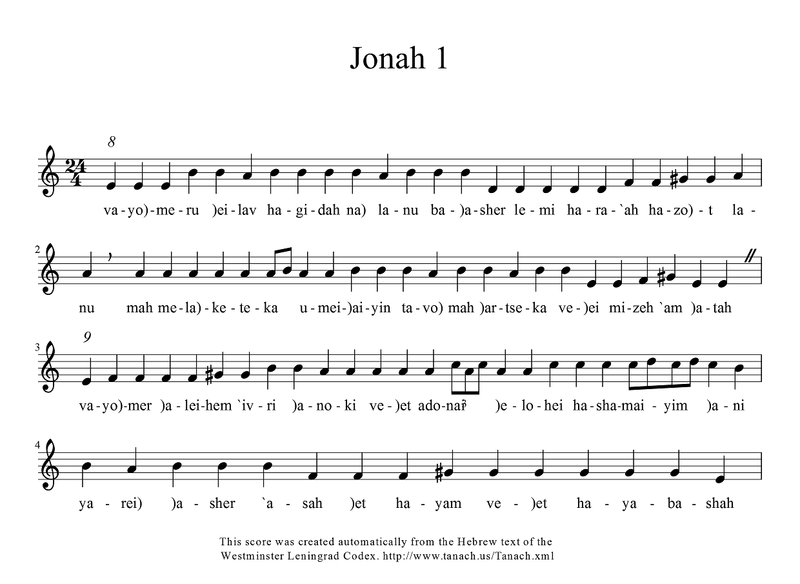 Before I even look, we should compare the musical setting of the Jonah 1:2 with Jonah 3:2. I wonder, will there be any similarity? 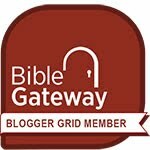 I wonder if anyone in the #BibleGateway grid #bgbg2 is following this series? The last segment of chapter 1. I wonder if one could sing a larger prophet like the entire Isaiah. The music would be an aid to memorization. What do we see in this last section? Notice how the soul is painted with the same ornaments as in verse 12 on lift me up. Isn't that a surprise? The mortals might as well be singing the Dies Irae. These ornaments repeat again for the offering at a lower level (verse 16). Just what is this sign of Jonah? How multifaceted is it? Being forced to sing this story in smaller segments gives me more time to think about it in both languages. There are so many small details highlighted by the music even over and above considering the repeating words, itself a rewarding study. Chapter 4 The City (1-5), The Tender Plant (6-11). why is it that this evil is ours? and where have you come from? and from this people - who are you? There's the intro and the setup for that reluctant prophet named Dove. The drama continues - but Jonah has not gotten far enough down yet. He will hit bottom at the roots of the mountains. First he needs to get the short straw. That's where this segment of the story takes us. what's with you - unconscious! See how the music paints Yahweh's hurling and how the note doesn't recur until the ornament where the seafarers hurl their cargo into the sea. Note the pondering of the ship - she knew trouble. The pilot knew how to get him to rise even if Yahweh had been unsuccessful in the first command - "rise (but I know you will descend instead)". Note the ululation in the music on the "maybe". The ornament is repeated in the talk of the companions reflecting the fear of their pilot. And there is an ornament on the falling of the dice. This is music - not punctuation on steroids. All the books of the Bible (Old Testament that is) have musical signs. I am going to test a few for fun. We could call it reading the Bible with music. Starting first with Jonah. This is a great story with life and death in a fish, a thinking ship, and mariners and kings outside of Israel who have more accurate faith than the chosen prophet. My earlier translation begins here but you will find a close English translation under the Hebrew below. We'll go small piece by small piece. I love this little book and its characters (specially the ship with the thought bubble over its head). The music here is quite singable. Sing it at speech rhythm - quarters and eighths are for notational convenience only - I have to have something there. The first phrase is matter of fact, introducing the character - note the characteristic augmented second. We are in what I would call harmonic A-minor but with a tonic on E - so chromatic dorian if I have the terms right. 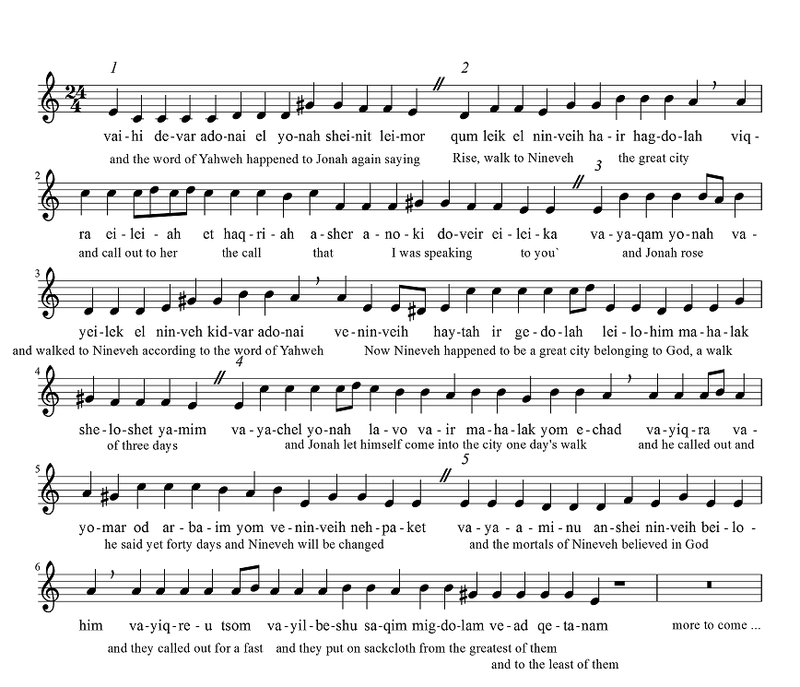 The second phrase is comical - Yahweh says Rise but the music falls to a C major tonality after the ornament - the English works very well as an underlay to the music. Verse three is the beginning of the frantic Jonah as he heads Tarshish-way - as far away from the Face of Yahweh as he can get. He begins his descent by going down to Joppa. You can visit Joppa (Jaffa) these days - a little village just south of Tel Aviv on the coast, a short walk from the hotel district - about an hour by bus from Jerusalem, where I presume the 'Face' or 'Presence' was in residence as far as Jonah was concerned. 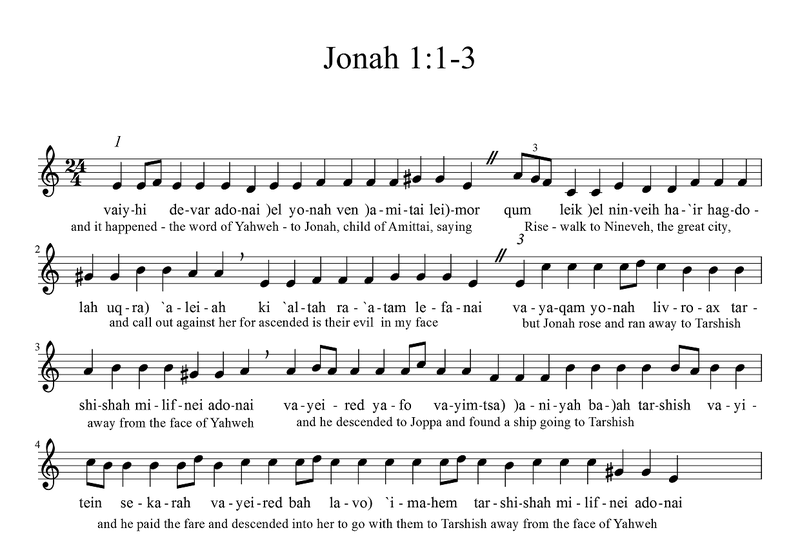 Verse 3 extends the frantic journey - and the music though going up to the C is reflecting anxiety and hurry with some accuracy as Jonah goes down from the hill country to the sea. I hope you can keep the G# in your tonal head to be able to sing the final augmented triad. Though 1 Samuel 2 is poetry, the cantillation marks are those of the 'prose' books. Here Hannah sings her joy in the birth of Samuel and in the fulfillment of her vow. This song is imitated by Mary in Luke 2. (various translations at the link). The music (with my fuzzy logic around the metheg) is reasonable in the passage using input from the Westminster Leningrad Codex provided here. (Enter 1 Samuel 2 in the box). This music is unedited and was produced automatically with the following string as input. I can now draft any section of the Old Testament in a few minutes. All that remains is to find a way to make this available to others in the cloud (and test a few more samples for unusual combinations and sequences that I haven't anticipated). A later version in E major with translation is here. 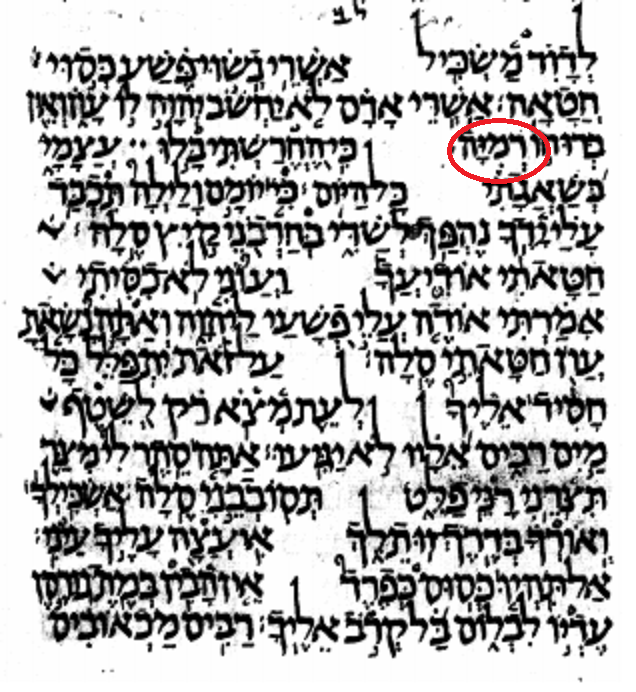 You may note the ketiv on verse 3, reproduced as a comment in the music. I have also overridden (in the code) the divine name. The mode for the prose books differs from the psalms in the prior post. Here they are in raw form transcribed by computer program and without any manual intervention or correction. There were serious initial problems with the music in Psalm 3. If one then looks at the Aleppo codex, it is ambiguous. Both are problematical as far as understanding where Max Letteris got his interpretation. David Mitchell says Aleppo is superior to Letteris - so I should use it to verify the WLC Unicode - but... what will it lead to? This first note is just the beginning. 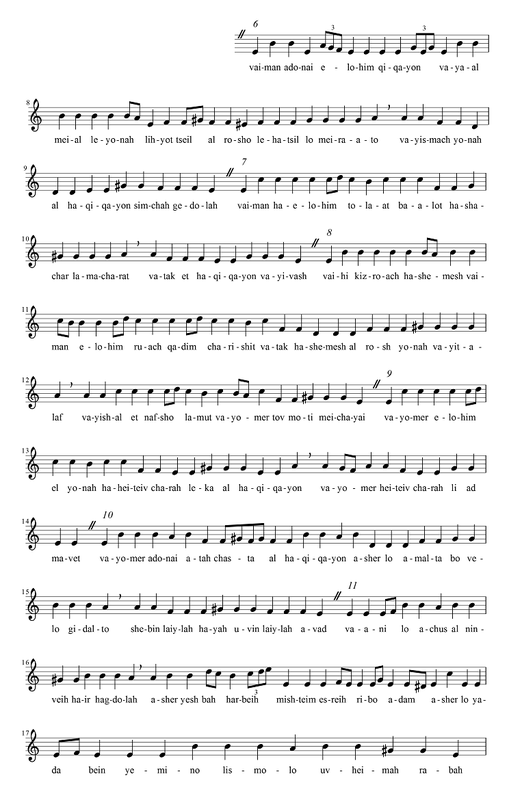 Here is the music based on the WLC - and here is a translation or two. The music was written without intervention from me using an automatic transcription algorithm which I wrote this week. The algorithm translates the Hebrew text into music XML. What can you do with the Bible? You can sing it - but with what melody? And in what style? This I hope to explore in the next five years and I hope many will share and continue the exploration - once I get my routine into a cloud offering so anyone can do it. The Letteris music is what I am used to through the work of Suzanne Haik Vantoura. The exploration will take some detailed work but at least the initial coding is now reduced by several hours. The Letteris text for the psalm is here. The music above is not the same as my earlier transcription. This is a problem to me and uncovers several musical assumptions from Suzanne Haik Vantoura that I can only wonder about at this time. Did she impose cadential figures on the text? Did Max Letteris impose them? What is going on here? Prior work on this psalm is clustered here from some time ago.